We Need to Demolish Dams? The show is over -- at least it's almost over. SeaWorld has announced that next year, it will phase out its killer whale performances in San Diego. The theme park has been under fire -- and, perhaps more importantly, losing visitors -- ever since the 2013 movie Blackfish documented its abusive treatment of captive killer whales. But the whales -- endangered Puget Sound orcas, if you prefer -- need more than just to be freed from captivity. Not surprisingly, they need to eat. Specifically, they need chinook salmon, says Carl Safina, a former National Audubon Society vice-president for marine conservation who hosted the PBS series entitled Saving the Ocean with Carl Safina. And in order to get more threatened, endangered and otherwise diminished chinook into the water, he says, we'll need to breach the four lower Snake River Dams. Safina laid all this out one night last month at the Seattle Aquarium, where he was the keynote speaker at an unveiling of the Orca-Salmon Alliance, a coalition of regional and national environmental groups formed to "prevent the extinction of the Southern Resident Killer Whales by recovering the wild Chinook populations upon which the whales depend." Member groups include Earthjustice, Save Our Wild Salmon, Defenders of Wildlife and the Natural Resources Defense Council. The orca-salmon connection is clear. 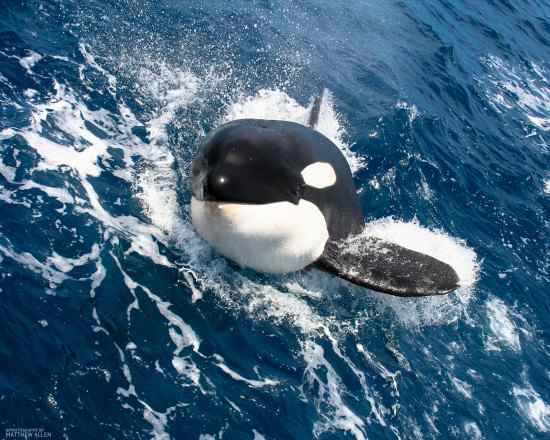 Killer whales live all over the world. Some eat other marine mammals. The southern resident population that we see in Puget Sound eats fish. This is a cultural adaptation, like vegetarianism or my Neapolitan uncle Claude's fondness for the cooking of southern Italy. For a Puget Sound orca, food primarily means salmon, above all chinook salmon, presumably because chinook grow bigger and fattier than other species and therefore provide a better return on a killer whale's investment of hunting energy. But when your favorite food winds up on the endangered species list, you've got a problem. Puget Sound chinook were listed as threatened in 1999. Four populations of Columbia River system chinook, including two on the Snake, have also been listed, as have fish in the Upper Willamette, and California coastal, Central Valley, and Sacramento River winter run chinook. An orca's options aren't what they used to be. These days, when the killer whales swim in and around Puget Sound, their main source of chinook lies north of the border: the Fraser River. The orca population had rebounded somewhat, but it now languishes in the low 80s. It still shows the effect of whale captures in the late 1960s and early 70s, when hunters herded the whales and took young ones from the pods for SeaWorld and other destinations. The captures finally ended after a 1976 whale roundup in Budd Inlet, more or less in front of the state capitol, horrified an aide to Governor Dan Evans named Ralph Munro, who was sailing nearby, and ultimately, state politicians. (A KING-TV documentary had already started to turn public opinion against the whale captures.) But there's still a hole in the population where females of breeding age should be. When I spoke with Safina the day before the aquarium event, he suggested the population must once upon a time have been much, much larger. Scientists have speculated that there may once have been a couple of hundred Southern Resident Killer Whales. Safina envisions "hundreds, maybe even thousands." He can't believe a smaller population could have differentiated itself so successfully from its mammal-eating cousins. And he figures that the once-enormous regional salmon runs would have supported a host of killer whales. Safina, who was also promoting his new book, Beyond Words, about the way non-human beings experience the world, nodded to part of the logic behind the Orca-Salmon Alliance when he said that people who want to save the orcas should "talk about money." He suggested that casting the northern spotted owl fight of the early 1990s as a conflict between logging and forest preservation was "the biggest mistake the environmental movement has made in this country." It was too easy for the forest products industry to characterize the choice as "jobs vs. owls." If you believe numbers like that, it's hard to argue that saving the dams makes more economic sense than saving the fish. Our knowledge of the orcas' needs has become more nuanced, but we have known the basics for quite a while. Long before the dams went up, when Lewis and Clark reached the Columbia, they found the number of salmon "incrediable." It must have been. This year's big run of Columbia River chinook, touted as a record, amounts to only about one-third of the number caught in 1883, the last year before the runs were depleted by overfishing and, eventually, the dams. The Southern Resident Killer Whales must have evolved knowing that every year, millions of chinook would appear at the river's mouth. Things have changed -- and they probably must change at least part of the way back in order to build up the population of killer whales. In California, the National Oceanic and Atmospheric and Atmospheric Administration (NOAA) has basically acknowledged that. In the Northwest, it has not. A 2009 NOAA biological opinion on operation of the California State Water Project and the Central Valley Project called for changing operations -- providing less water for agriculture -- in order to build up chinook populations on which the orcas rely. In contrast, a series of biological opinions -- four rejected by federal courts, a fifth currently awaiting a U.S. district court judgment -- on operation of the federal Columbia River system dams has not called for any adjustments to increase the orcas' food supply. The feds acknowledge the orcas' dependence on chinook. They just don't propose doing anything about it. They claim that hatcheries can keep the current chinook numbers from dropping, without acknowledging that if we want more orcas, we have to give them more fish. Acknowledging that might lead to the idea of breaching those Snake River dams -- a subject that many people in power, including Washington governors and U.S. Senators, have studiously avoided. 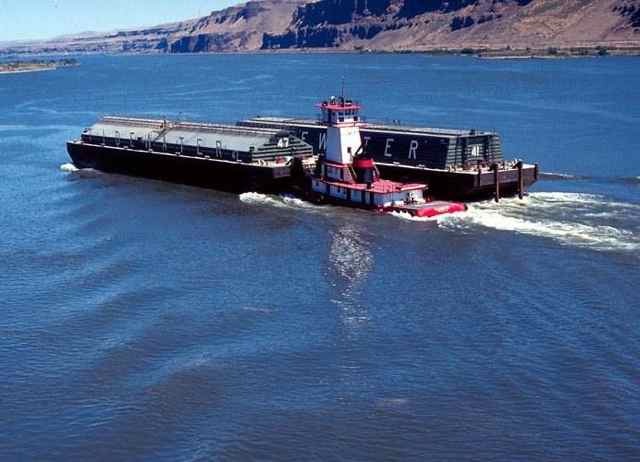 The judge who struck down the last three Columbia River biological opinions made it clear that he thought dam breaching should be on the table. But he has retired. What the current judge thinks about the subject has yet to be seen. We have a pretty good idea of what the killer whales need. We certainly know about their decline. Now, Safina said, we have a choice. "Do we want to watch it," he said, "or do we want to stop it?"